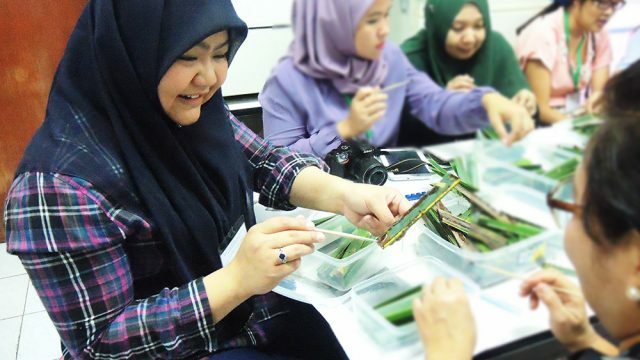 Plant Entomologist Ms. Amaniah Besar from Brunei Darussalam was one of the nine participants attending a five-day Regional Training Workshop on Mass Production of Beneficial Insects and Nematodes recently conducted in Bangkok, Thailand. When she was first approached for this interview, she was very modest and said that her country is new to biological control agents for crop protection and may not have much of good experiences to share with others. After being insisted, Ms. Besar provided these introductory answers which readers could learn about Brunei Darussalam, its agriculture and production of biological control agents in these seven questions. Can you share with us the most eye opening experience you had since joining the workshop? 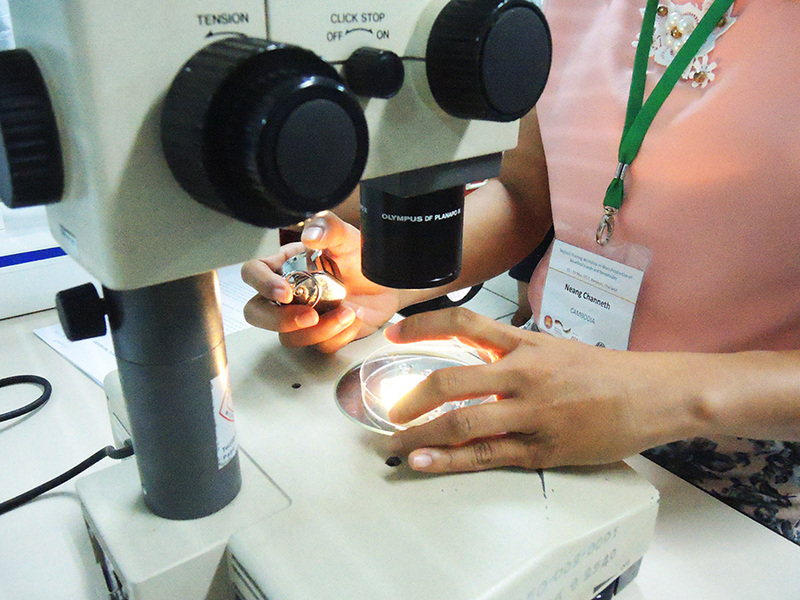 Having worked in the pest management field in your country, what is new to you since joining the workshop? And, how do you think this experience/knowledge/skill will be useful to you once you go back to your country? “Brunei Darussalam has tried mass rearing lady beetles but it was not successful. This is probably due to the fact that we had no hands-on training and the techniques were adopted and based on published papers from temperate regions. Therefore, this training workshop is the first time for the participants from Brunei Darussalam. The system of mass rearing, the details, the step-by-steps procedures and other requirements are all new to us. The knowledge gained and the newly acquired skills are useful in filling the gaps in our mass rearing trials e.g. addition of honey as supplementary diet enhances the insect reproduction and survival in the mass rearing processes. This could develop our trial a step further. How popular is the use/application of biological control agents in your contry? 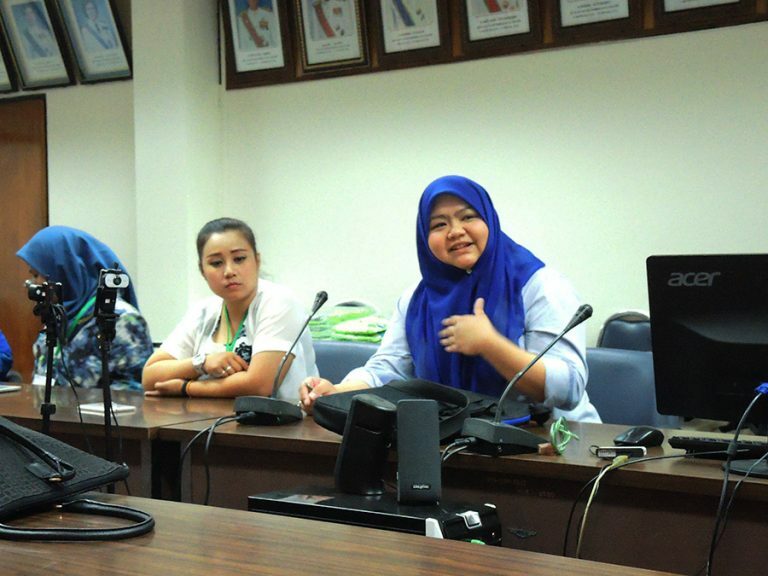 “Currently, Brunei Darussalam does not use any BCA [Biocontrol Agent] in our agricultural sector. However, farmers are frequently advised or informed on the existence of these BCAs by educating them that some insects are not pest, and that they are beneficial to the farmers and their crops such as lady beetles, rove beetles, earwigs, dragonflies and spiders (although not Insecta). What do you think are the obstacles that prevent biological control agents from being widely used or mass produced in your country? “The benefit of Brunei Darussalam is that we can learn from other ASEAN Member States e.g. Brunei Darussalam know what BCA to mass rear and use against what selected pests/crops. However, there are still certain issues or obstacles that we need to work on. Selected case: Mass rearing Trichogramma japonicum to use against Scirpophaga innotata in rice fields. Proper identification of japonicum. Survey/ collection of naturally occurring T. japonicum in Brunei Darussalam. Is the population enough to start mass rearing? Should Brunei Darussalam introduce T. japonicum from other AMS, and the risk thereof? Dedicated and skilled technicians to conduct mass rearing. The need to privatised? Are there companies interested to mass rear? Demands will probably be not as much, considering Brunei Darussalam’s agriculture sector is small. How important is it for your country to upscale BCA production? From your perspective, do you think this situation will change in the future? How? “In the near future, we believe that the use of BCAs will be the answer and one of the important components of sustainable agriculture. With the increased awareness of consumers, especially the younger generation on the issues of pesticide usage and its hazard towards humans and the environment; and the growing niche market of organic/ pesticide free agricultural produce; there will be high demand of BCAs to accommodate these requirements. What do you think is the most important institution that can trigger change in the biological control scene? “Public Private Partnership is needed to trigger the change in BCA scene. Cooperation between DoA [Department of Agriculture] and private companies in mass producing BCAs must be developed – if possible, companies should be as competitive as the synthetic pesticide manufacturing companies. This does not only apply internally, but cooperation within the AMS [ASEAN Member States] is also highly encouraged. It must be noted that this cooperation is established towards providing farmers with suitable and high quality BCAs at a lower cost (compared to synthetic pesticides). Farmers need to be well educated/ aware of the importance of the sustainability of agricultural systems and how BCAs play a significant role in this matter. 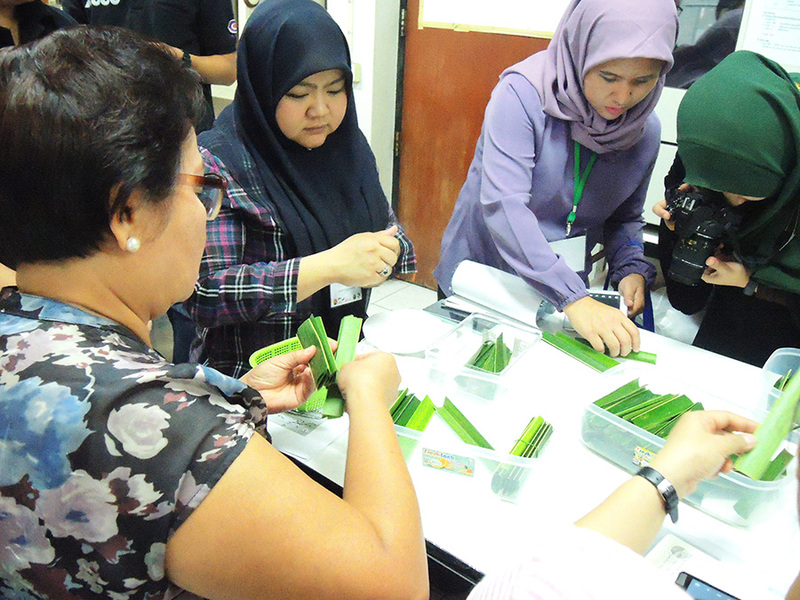 Nine participants from seven ASEAN countries recently attended a Regional Training Workshop on Mass Production of Beneficial Insects and Nematodes from 15-19 May 2017. 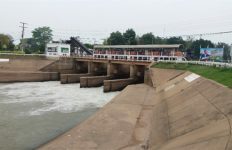 Mostly, they were technical officers under the Department of Agriculture in their countries; namely Brunei Darussalam, Cambodia, Indonesia, Lao PDR, Malaysia, the Philippines, and Viet Nam. 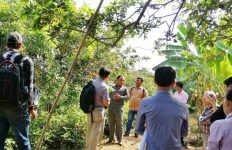 The workshop consisted of lectures and hands-on practice on mass rearing of beneficial insects and entomopathogenic nematodes. 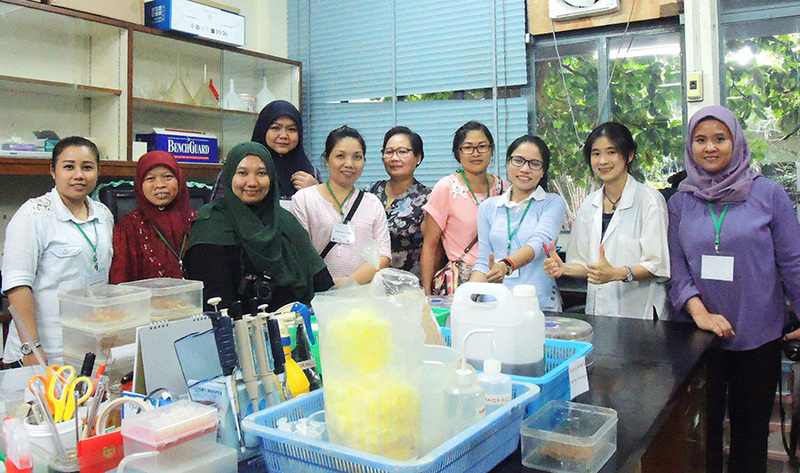 It was expected that participants would gain knowledge and skills necessary to further develop and implement mass production of biological control agents in their own countries. 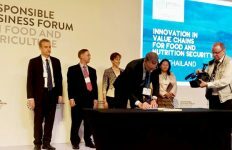 The workshop was organized by ASEAN Sustainable Agrifood Systems (ASEAN SAS) project in collaboration with Plant Protection Research and Development Office (PPRDO), Department of Agriculture, Thailand.